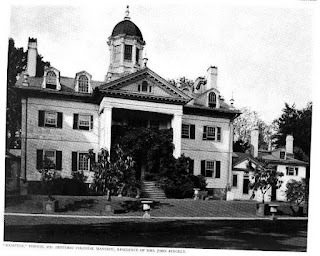 'Hampton', the Captain Charles Ridgely estate built c. 1790 in Towson, Maryland. 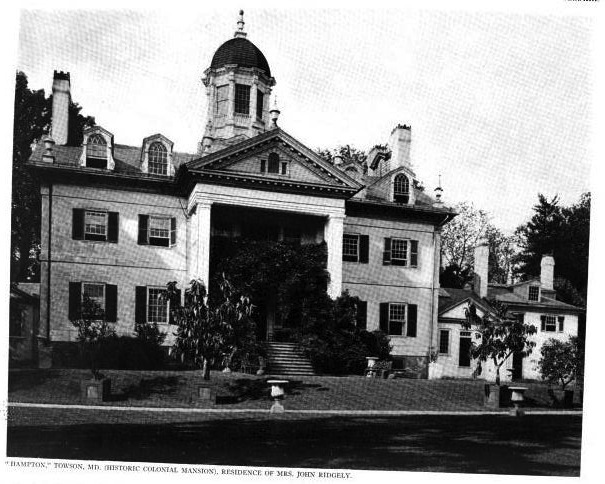 Ridgely died the year the house was completed and the estate was inherited by his nephew Charles Carnan Ridgely. In the 1820s the estate was at its largest at roughly 25,000 acres. 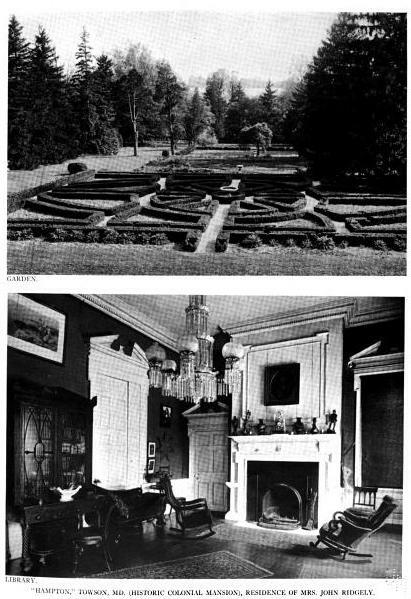 'Hampton' was subsequently owned by Ridgely's son John Carnan Ridgely and his wife Eliza Ridgely and later their son Charles. By the turn of the 20th century it was in the hands of their son Captain John Ridgely. 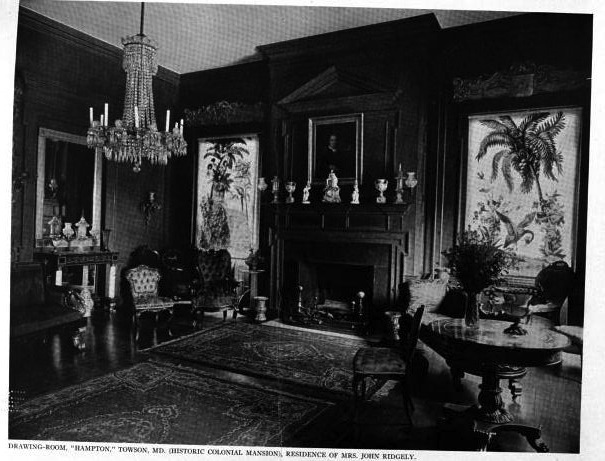 In 1948 the estate became a National Historic Site and was opened to the public. Click HERE and HERE for more on 'Hampton'. Click HERE to see the estate on bing. Wow, you've gone way off reservation from the Gilded Age today---maybe like 'Before the Gilded Age'? Om the America of the 1790's, this place was Pembroke. And how amazing are those window shades? 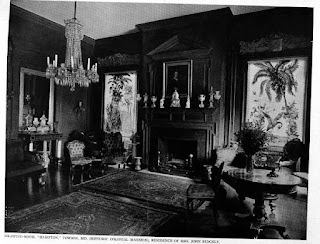 If you search the Library of Congress Built in America, you can find architectural drawings of this and other mansions. Indeed. Today's installment is Before the Gilded Age... or maybe Way Before the Gilded Age. I would heartily suggest that this be the beginning to your greater coverage of some of the lovely houses in Maryland, from the horse farms north of Baltimore to the tidewater mansions of colonial planters (and their early 20th century mimickers) on the Eastern Shore.